Mechanical properties are often considered the most important of all physical properties of materials. They are critical to understanding material and component applications in nearly every industry- automotive, aerospace, medical devices, electronics, polymers, elastomers, composites, and many more. Fatigue testing provides insights on how and when materials, components, or devices fail when subjected to oscillating forces or stresses. These insights into material behavior ensure reliable product performance and prove out lifetime claims. At the heart of the new 3300 is the patented, frictionless ElectroForce motor. 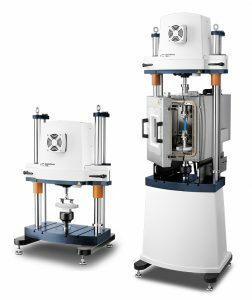 Configurable with either 1000 N or 3000 N force capacity, it offers a wide range of controlled stress or strain up to 100 Hz loading frequency. It has high acceleration and is reliable enough to perform billions of fatigue cycles. It is the only motor in any mechanical testing system with a 10-year warranty. The Series III instrument adds new sensor technology, a flexible frame design, and an integrated air bearing. Several convenience features and environmental options make it the superior choice for a broad range of test applications. TA Instruments – a subsidiary of Waters Corporation (NYSE: WAT) – is the leading manufacturer of analytical instruments for thermal analysis, rheology, and microcalorimetry. The company is headquartered in New Castle, Delaware, USA, and has direct operations in 24 countries.